Launching in August 2018, more details of the highly anticipated Doctor Who Infinity game have been announced, with a new adventure for another Doctor. Doctor Who Infinity is a new game from Tiny Rebel Games that brings together the gem swiping gameplay of Doctor Who Legacy, the episodic structure of the show and the audio narrative style of Big Finish to create a unique gaming experience for Whovians. The first two stories in the game are are The Dalek Invasion Of Time and The Orphans of the Polyoptra. 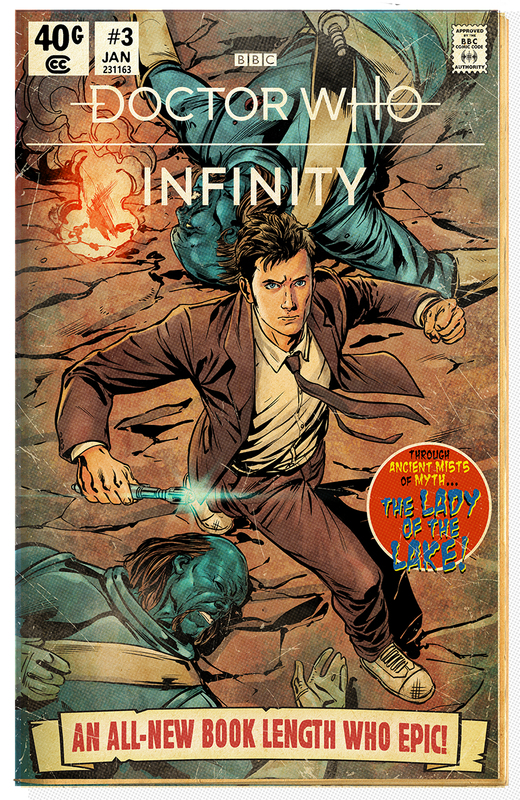 Tiny Rebel Games has today announced that the third original story is called The Lady of the Lake featuring the Tenth Doctor. 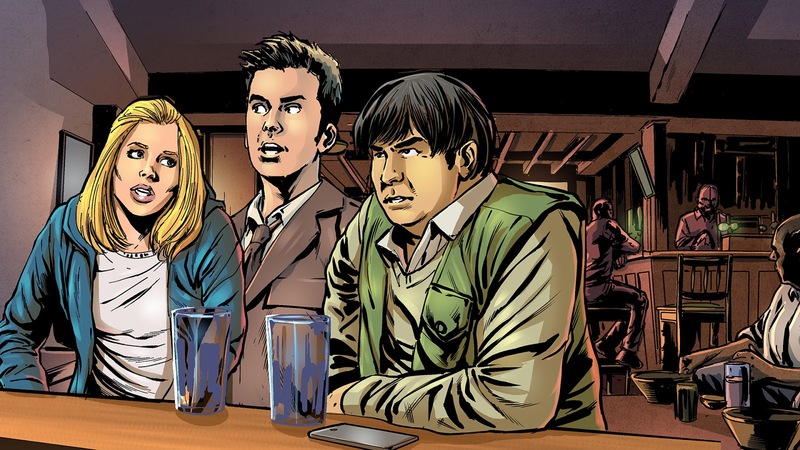 The story features the Doctor and Rose in a mysterious village where things start dying for no apparent reason. 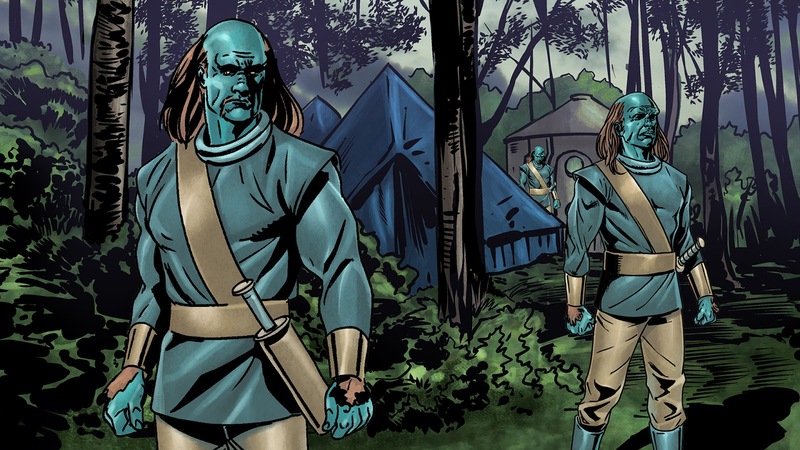 The artwork also shows Ogrons, so could they have something to do with the strange goings on? The Lady of the Lake is written by Scott Handcock, who has previously written a number of Doctor Who audio dramas and short stories. 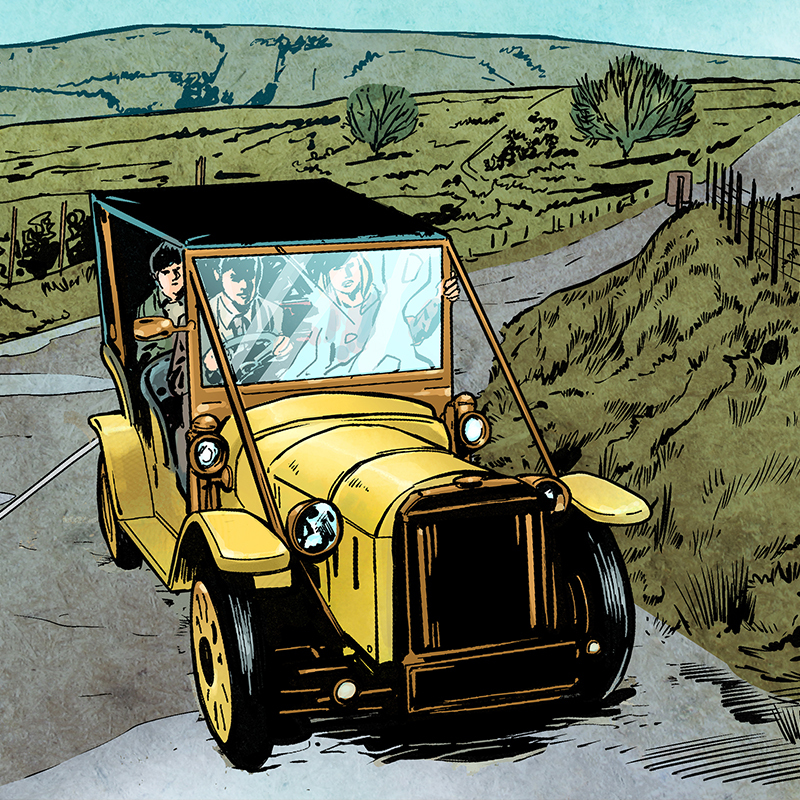 The art is drawn by Neil Edwards (Doctor Who, Marvel, DC) and coloured by John-Paul Bove (Doctor Who, G.I. Joe, Transformers) and Dylan Teague (Doctor Who Magazine, DC). The story will be narrated by critically acclaimed and award winning actor Celyn Jones (Set Fire To The Stars, Submergence) as the character Geraint. Other voiceovers include Katy Manning as Delyth and Marilyn Le Conte as the eponymous Lady of the Lake. The game will be available on iOS and Android later this summer, with mobile pricing to be announced at that time.